Custom case made, turned edge binders that can be manufactured in single quantities and short runs for important projects and proposals are being introduced by Advanced Looseleaf Technologies of Dighton, Massachusetts. 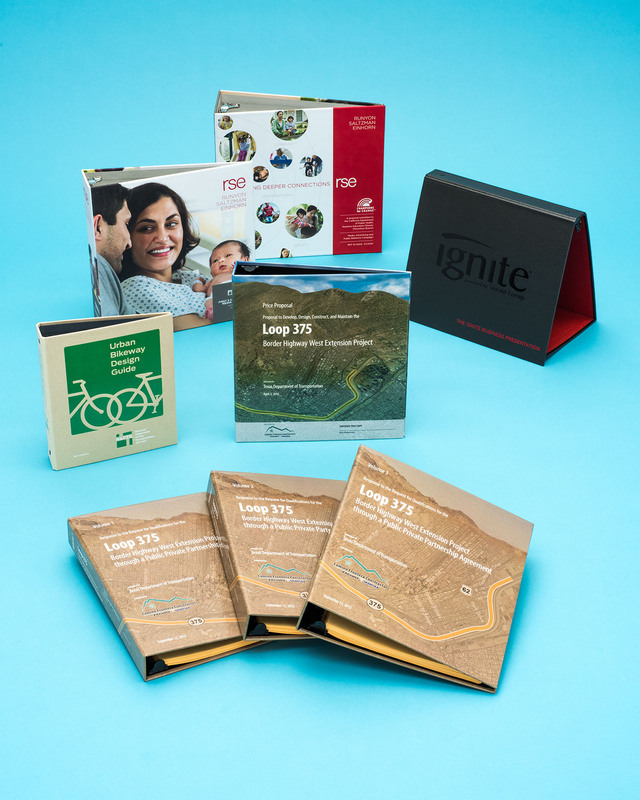 Advanced Looseleaf Custom Binders are designed for important presentations requiring a high quality binder or series of binders that reflect the scope and magnitude of a project or proposal. Available in single quantities, regardless of design, they are totally customizable including full-color images and graphics, and leather-like, padded, or smooth materials. Featuring a high-end appearance, Advanced Looseleaf Custom Binders can be debossed, foil imprinted, screen printed, and include insert graphics, bar pockets with corner guards, medallions, and more. Designed to match special paper sizes, they are ideally suited for architects, contractors, engineers, government agencies, realtors, and advertising, PR, and insurance agencies. Advanced Looseleaf Custom Binders are priced according to customer require-ments in single quantity and up. Quotations are available upon request.